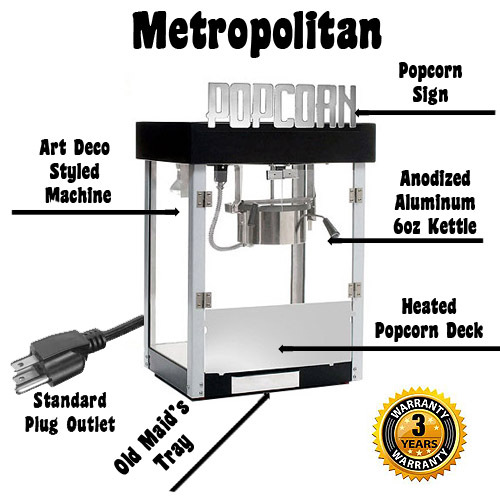 Benchmark's Metropolitan 6oz is styled adds and art deco look to a popcorn machine. 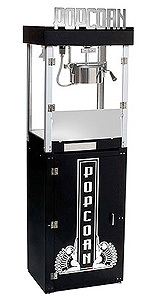 Black top and bottom along with a stand alone popcorn sign makes this truly stylish popper. Looks aren't the only thing this popper has. 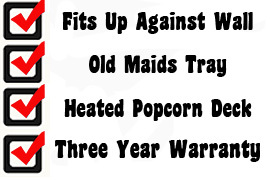 A large 6oz anodized aluminum kettle and a lower heating element for keeping your popcorn warm all day and an old maid' pull out tray for unpopped kernels. 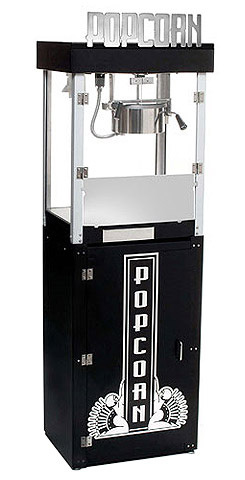 Best of all, this popper is meant to be placed against the wall to save space and offer complete functionality without giving up any stylish looks. This machine offers a Three year warranty.